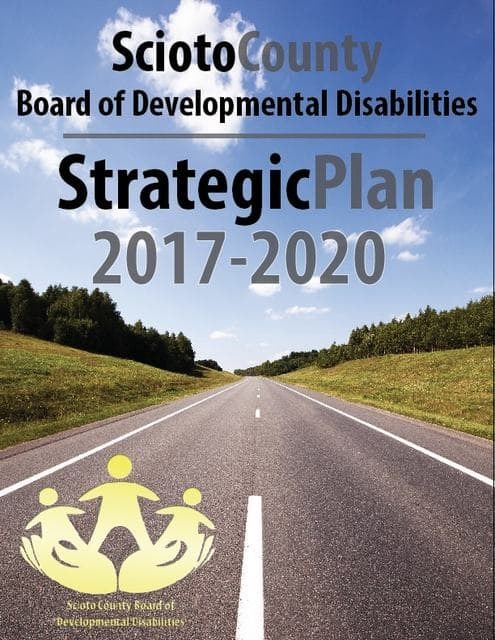 A draft of 2017-2020 Strategic Plan for the Scioto County Board of Development Disabilities is available for review on the agency’s website at www.SciotoCountyDD.org. Community members are invited to review the plan and offer suggestions. While fluid, the plan will guide the organization over the next three years. The 2017-2020 strategic plan was drafted using information gathered from surveys, needs assessments, and focus groups. Federal and state mandates, trends in the Developmental Disabilities field and in the community, and best practice models were also taken into account. Individuals, families, stakeholders, and other concerned citizens are encouraged to review the document and give input. Submit questions, comments and suggestions through the website’s Contact Us tab or email them to SciotoCountyDD@scdd.k12.oh.us. by Tuesday, Jan. 17. The final draft will be presented to the board for approval at its regular monthly meeting on Thursday, Jan. 19. The Scioto County Board of Disabilities includes programs housed at Vern Riffe School; STAR, Inc.; Carousel Center; and Vocation Station.